Gutted..but we’ll never rue Peru! It's been 30 years since one of Scotland’s most humiliating sporting defeat — and the Tartan Army is still talking about it. 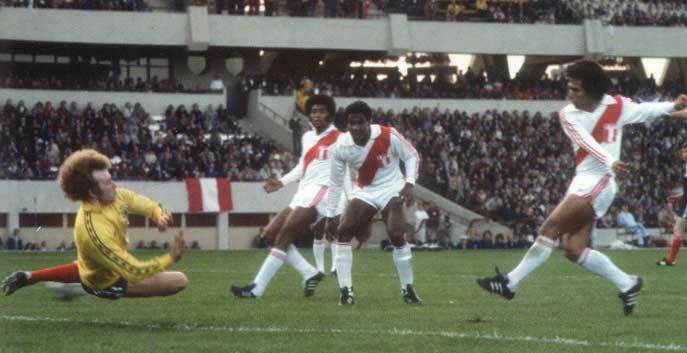 On this day in 1978 at the World Cup in Argentina, we were spanked 3-1 by South American minnows Peru. It was our opening Group 4 game at the Estadio Chateau Carreras in Cordoba, and it was a crushing blow. The entire country actually believed manager Ally MacLeod’s boys were certs to WIN the whole tournament. The team enjoyed a pre- World Cup send-off at Hampden Park, and 600 fans made the trip to Argentina. They tried to get there on boats and planes — and in one case hitch-hiking a ride on a submarine. Scotland games. And John won’t ever be allowed to forget the nightmare defeat to Peru. He said: “There’s a bit of TV footage they always show of fans giving the team pelters. I’m right in the middle with long hair — but I’m bald now. ” One diehard Ally MacLeod supporter did head for Argentina, but only made it as far as New York. Community worker John Gregor, 49, from Ayr, was on leave from the Merchant Navy and flew out to the Big Apple with £100 in his pocket. He said: “It was me and two of my pals — we thought by getting to New York we could just ‘turn left’ and hitch-hike down to Argentina. “We were young boys and had no idea how far it was. “We never got out of NewYork and to be honest after the Peru result I was pretty glad — what a choker that was. “Ally MacLeod was my hero as I’m a huge Ayr United fan. He was the best Scotland manager ever. “But I really felt for him that night — we had such a good team and it was an absolute nightmare result. “I’ve been to every Scotland away game since 1980 and I don’t think any compares for sheer disappointment. ” MacLeod had Scotland believing so much that the song Ally’s Tartan Army — performed by comic Andy Cameron — shifted a whopping 360,000 copies and rocketed to No6 in the charts. But the result against Peru wiped the smile off funnyman Andy’s face. He said: “With all the hype I assumed we’d get through the qualifying group and didn’t even think about not beating them easily. “Everybody got so caught up in the whole thing — at least we know better these days. ” After the Peru debacle the Scots had another two games to try to secure qualification. Next we faced another international football minnow, Iran — and again disappointed by only scraping a 1-1 draw. Then it came down to the final game against Holland — with the Scots needing to win by three goals. IT went all wrong on the pitch against Peru — and there was chaos up in the commentary box, too. 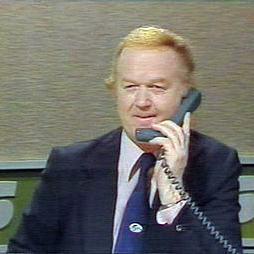 The situation was so bad that Archie Macpherson couldn’t even do his job. Archie, 71, said: “I’d been preparing for six months and it was a really big thing for me. “But somebody at BBC Scotland had forgotten to book the line back. So after all that preparation my commentary couldn’t go through and David Coleman did it for the whole of the UK. Even with Archie Gemmill’s iconic strike, we won by a margin of just 3-2, and went crashing out at the first hurdle on goal difference. The dream was over — in the most embarrassing way possible.